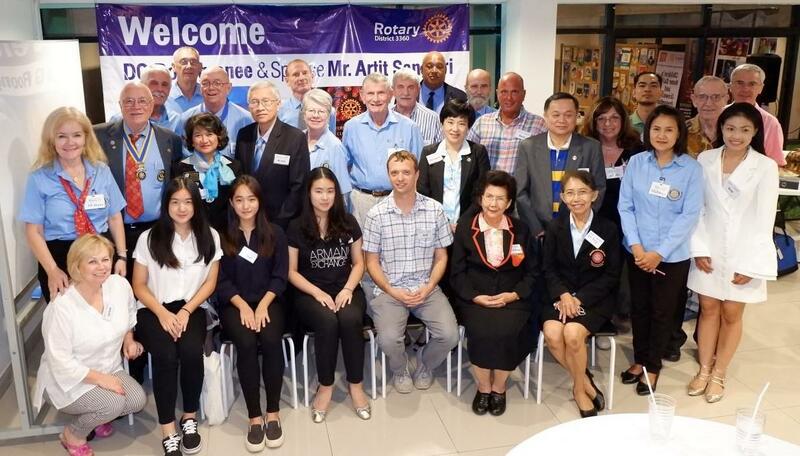 October began with one of the highlights of any Rotary club's year with the visit to the club by the District Governor Roongranee Sangsiri on Tuesday, October 2nd. Our Rotary District 3360 has 67 Chapters spread throughout the Northern region of Thailand and DG Roongranee and her husband Artit will visit them all during her year as District Governor. The visit began with a meeting of the CMIRC Board with the D.G. Roongranee, Assistant District Governor Ratree, and our special friend, Charter President Pong of the R.C. of Chiang Mai – Wattana, who acted as interpreter. We had a lively meeting where our Board members outlined the projects we have initiated with a signature focus on Child Safety, Health, and Education. 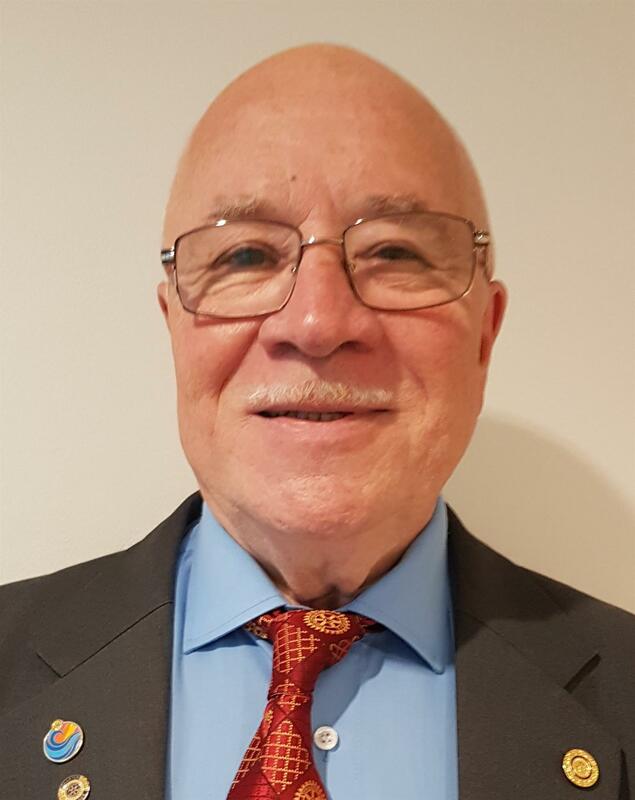 We also described the fundraising we have done and the financial contributions we have made to local causes, District 3360, and Rotary International. Finally, we described our plans for the coming year and the efforts we are making to expand our membership. D.G. Roongranee congratulated us on the good work we are doing. After the meeting with Board, we enjoyed a 10 course Chinese family dinner. The Hong Kong Lucky chefs outdid themselves, everyone commented on what a delicious and varied meal it was. One of the great things about Rotary in District 3360 is the way our clubs work together. Past District Governor Chamnan and Past District Governor Suparie, both from our "mother club" of Rotary Club of Chiang Mai - North joined us for dinner and the meeting. We appreciate their continuing support for special events like this. All the club members and visitors, including the Interact officers and adviser are pictured above on this special night. The highlights of the meeting were the presentations by DG Roongranee and an exceptional presentation about the meaning and importance of service by the president of the new CMIRC-sponsored Interact Club at the Chiang Mai International School. Very impressive group of young Interactors! We are very proud to be their sponsors! Our Fundraising committee is now working overtime to make our “It’s Only Rock and Roll But (You’ll) Like It” Rolling Stones tribute band charity concert a great success. It's on Friday, November 9, doors open at 6:30pm at Old Chiang Mai Culture Center. Amazing raffle prizes, great Western, Thai, and Vegetarian food. Two hours of Rolling Stones music by the Bangkok-Based Midnight Ramblers. Dinner and concert 900 Baht pre-event, 1,000 Baht at the door. COME ROCK with US for CHILDREN! Tickets can be ordered at john@cmirotary.org. Finally, as hard to believe as it is, CMIRC will be 5 years old this coming February. We plan to celebrate at our February 19, 2019 meeting. Mark that date in your calendar and join us as we review our accomplishments and discuss our plans for our next 5 years. Don’t worry, it will be more a BIRTHDAY PARTY than a strategic planning session. It will be fun! If you wish to make an in-kind contribution. We need items to sell at the City Life Garden Fair, November 17, let us know if you have items and we will arrange pick up. We also need children’s winter clothing, look for our winter clothing donation boxes at Rim Ping Markets and many other locations in Chiang Mai. If you want to help, please contact president@cmirotary.org or 09 4856 3011.